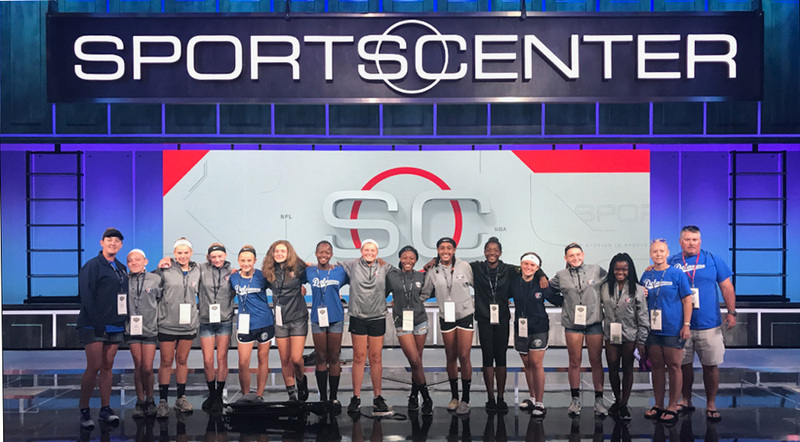 The girls enjoy their visit to the ESPN headquarters, where they got to visit the set of SportsCenter. 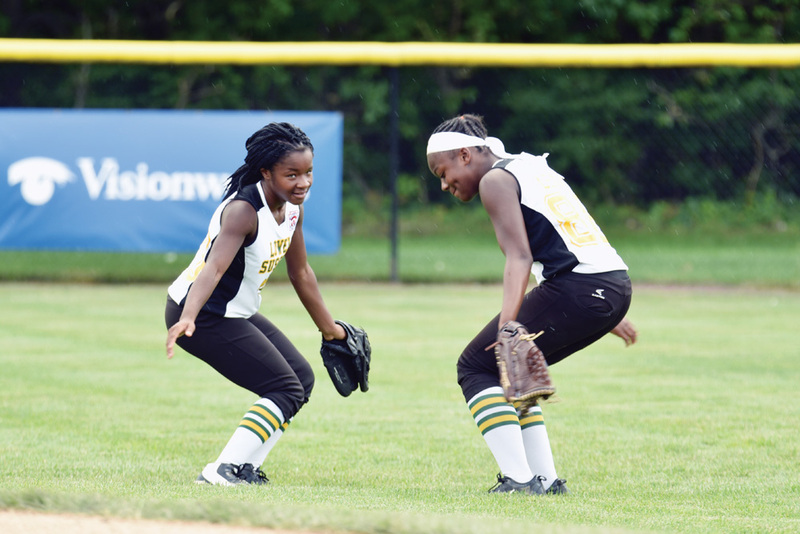 The magical ride that has consumed the Lower Sussex region over the past three weeks came to an end last Friday, July 27, as the Lower Sussex Little League Major League softball team fell 9-3 to Rhode Island in the semifinals of the Little League Mid-Atlantic regional tournament. The LSLL girls captured the District 3 and Delaware state titles before heading up to Bristol, Conn., for the Mid-Atlantic regionals, where they finished with a 4-2 mark. Rhode Island wound up losing to Pennsylvania, 2-1, in the regional championship game later on Friday afternoon. Hoban and the team were in the local spotlight all week, despite the fact that they were playing more than 300 miles away. The biggest thing that Hoban said she will take from this experience — and what she said she hopes her players will take away from it as well — are the memories they made off the field. Manager John Williamson’s Lower Sussex U10 baseball team came up just short this week of capturing another state title for the organization, with the group falling to Camden-Wyoming in the state finals, 9-4. After dropping their opener — also to C-W by a score of 8-1 — LSLL recovered to defeat Newark National, 5-2, to advance to the title game. In the win over Newark National, the teams played one inning before having to sit out a rain delay. After sitting around for an hour, LSLL rained over Newark to the tune of five runs, and they never looked back. Newark did put solo tallies up in the fourth and fifth innings, but it would not be enough. Then, in the championship game, walks again hurt LSLL, as C-W turned a 4-2 deficit into a 7-4 advantage. “To be the runner-up in the state is a huge honor,” Williamson acknowledged. “I know these boys were not completely satisfied. In the end, we felt we were as good as Camden-Wyoming, but we just didn’t have some things fall in our favor. The team featured Tayvon “Little” Rounds, Landen Erbe, Kayden Vaught, Ashton Browne, Ricky Wiggins, Levin Johnson, Ty Weber, Diego Cordoba, Davis Watson, Jacob Killen, Alex Behornar, Camden Callahan and Dylan Grise. Williamson was assisted by Dan Kapp, Jason Killen, David Grise and Jon Cherry.